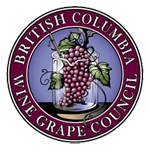 Sustainable Winegrowing British Columbia (SWBC) offers online self-assessments, access to educational resources, and training to help vineyards and wineries adopt sustainable practices and measure and demonstrate ongoing improvement. SWBC was created by a team of local viticulturists, winemakers, hospitality directors, researchers, and sustainability and marketing specialists. It was developed using sustainability programs from other winegrowing regions as a guide and with extensive research and input from the B.C. wine industry. sustainability outcomes can be achieved through different pathways. Sustainable winegrowing is not only relevant for today, but also important for the future. Our Vision is to leave the land better than we found it – tomorrow, next week, next year, next decade, and next century. Sustainable grapegrowing and winery practices help us make top quality B.C. wines while preserving the beauty and health of our environment for future generations and enhancing our relationships with employees, neighbours, and consumers. A secure online environment to manage your assessment activities. Visual reports available when you need them with ability to create email attachments. Ability to create and save your own personal action plans. Dynamic educational content that will be frequently updated. Access to a support network of like-minded growers and winemakers. Access to annual reports on the sustainability of the B.C. wine industry. Access to free workshops, education events, information on funding sources, and other support. How do you join SWBC? Please visit www.sustainablewinegrowingbc.ca or email info@sustainablewinegrowingbc.ca to sign up for SWBC. SWBC is currently a voluntary, self-assessment program. Third party assessment and certification will eventually be offered to reinforce the credibility of the program and ensure it is setting high and verifiable standards for sustainability. Options for the structure and timing of the certification program are being studied and will be brought forward to industry members for their input in the near future. Our Sustainability Guidebooks are now available in electronic format! Download the version of your choice to access the founding principles of sustainability in the vineyard, winery and your hospitality operation. If you would like a printed copy please email us at info@bcwgc.org to request your free copy. These books are also available through the Ministry of Agriculture and can be picked up in person at 200 - 1690 Powick Rd. Kelowna, BC V1X 7G5. Please contact carl.withler@gov.bc.ca to coordinate in person pick-ups.